Trusted by Thousands in Protecting Automobile Exteriors Since 1999. BEEDS Premium Ceramic Paint Treatment is a high performance coating solution that offers extreme hardness and can be applied to a various surfaces including paint clear coat, plastic, rubber and glass. BEEDS gives exceptional ceramic-like properties and as such is extremely durable and robust, providing high chemical, UV and heat resistance. It not only increases hardness, it leaves a fantastic deep gloss with remarkable gains in surface thickness. Do you operate a car detailing outfit? 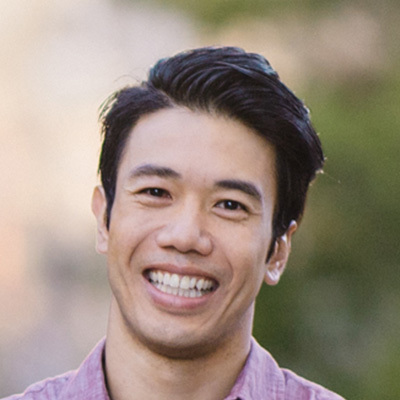 Find out why many shops are switching to Beeds. Do you want to protect your car against the sun, the rain and make it tougher against scratches? Why protect the exterior of your car or motorcycles? The paint and clearcoat on your car is not enough to protect it from the rigours of driving. Contaminants, road debris, rain and dust all take their toll. Beeds offers complete protection while keeping your paint looking spectacular. 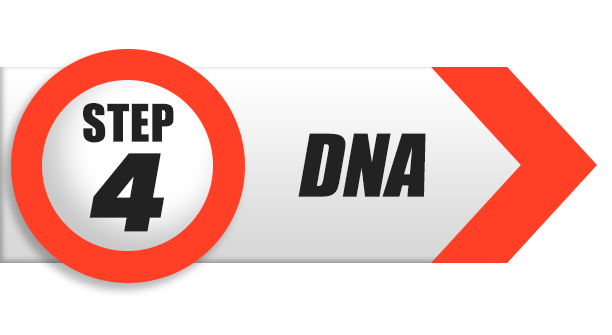 Beeds DNA is applied to all glass surfaces. 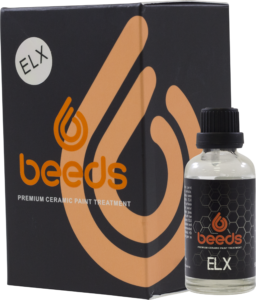 Beeds ELX goes on all painted surfaces for a second layer of protection and insane gloss. 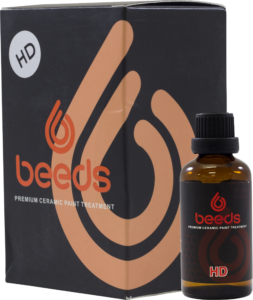 Beeds HD protects all painted surfaces and also chrome, rubber and wheels. 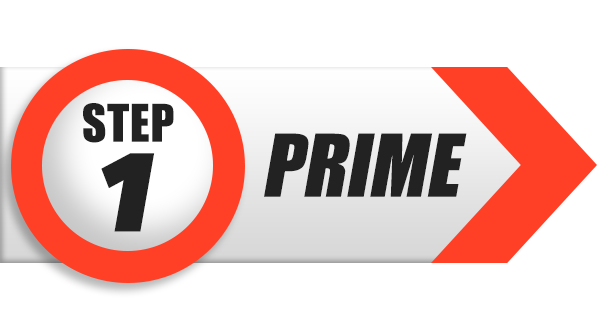 Beeds Prime is applied as a base for the best possible adhesion. BEEDS creates a durable glass like membrane to provide extreme protection against the elements. Each application will provide up to two full years of worry free protection and lets you appreciate the full glory of your investment. Click a tab to read more details. Ultra fine polish like solution used mainly for primer before coating, can be applied by hand or polish machine. It works like a paint cleaner and can be used as a final polish. Boost up the gloss tremendously in the paint and rids the oil residue from paint correction compounds. Highly recommended to use before BEEDS HD application. Can be applied by hand or with DA polish machine. Hybrid structure of SiO2 and SiC, VOC free, Non solvent based. High Viscosity, providing super thick and slick surface, built for high scratch resistance and thickness, hardness of 9H, highly anti static, thus minimum water spotting, oil base nature. Up 5 microns. Recommended application indoors. Can apply on paint surfaces, matte paint, glass, leather, vinyl surfaces, hard plastics & metal surfaces. Application varies. Long curing provides better hardness. Curing with IR lamp is recommended. 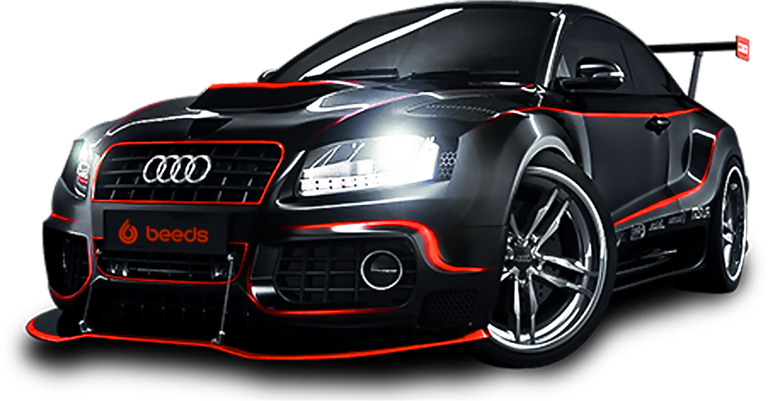 BEEDS HD will provide super hydrophobic performance and super high wet gloss. Easy on, easy off application. Treats 6-8 cars or more Warranties up to 36 months. 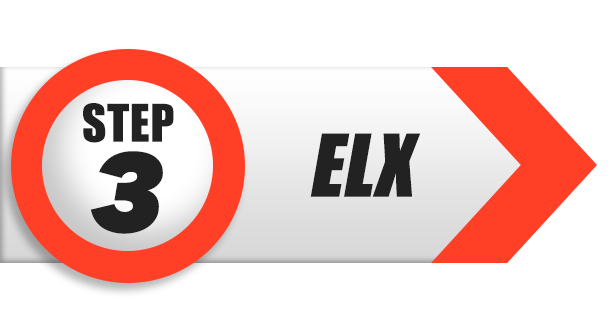 ELX short form for Elixir, is the most advanced top coat paint protection. Formulated with high percentage of super advance nano technology Si materials, ELX guarantees harder surface performance, faster water repelling properties, deep gloss and unformidable durability with low VOC and almost zero solvent. Easy application and fast curing. Highly recommended as a top coat after BEEDS HD.Treats 3-6 cars.. Warranties up to 60 months. 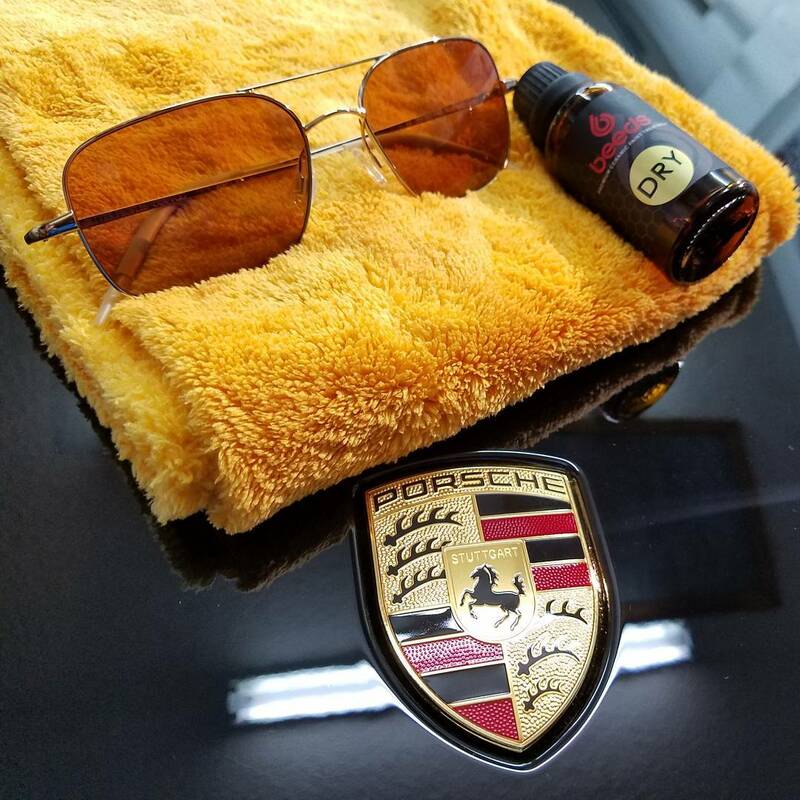 Unique oil base blend formula, built for super hydrophobic, water beading with minimum contact angle, hybrid blend of silica and cera composites. 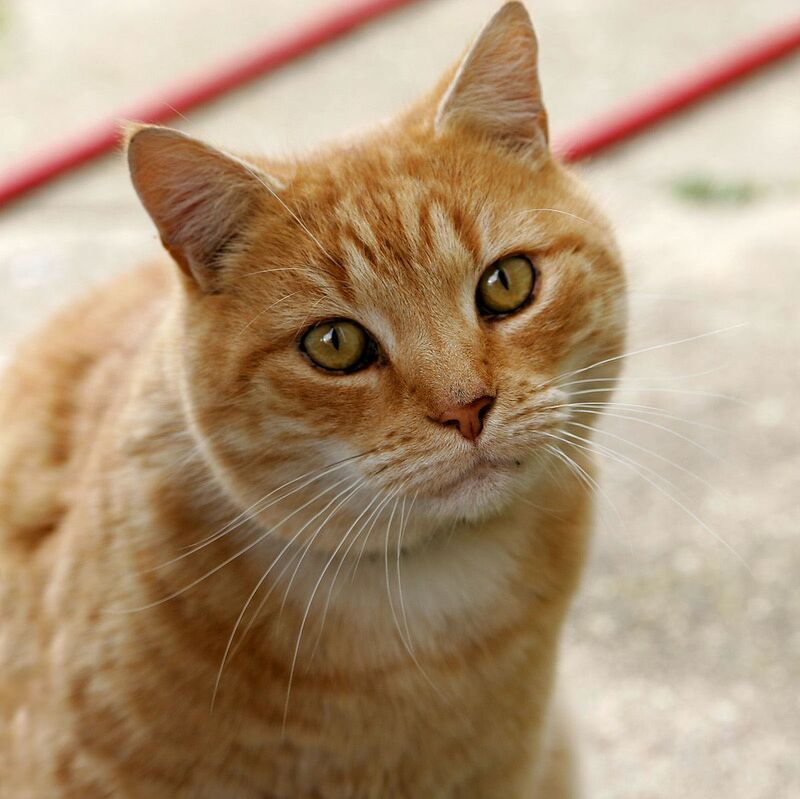 Does not built in thickness, multi coated not required. Extremely easy to apply on and off. Application works best if indoors. Highly recommended for glass and metal chrome surfaces. Good durability of 12 months up. Quick curing. Liquid solution made specially for follow up maintenance purposes on cars coated with BEEDS. It rejuvenates existing coatings, retaining high gloss and hydrophobic performance. Easy application, simply mist on mf cloth and wipe thru (same procedure as putting on QD) Recommended application indoors. Can adapt to warm climate. Can be used to maintained up to 30 cars or more. Can also be applied on uncoated surface for deep gloss and hydrophobic performance. 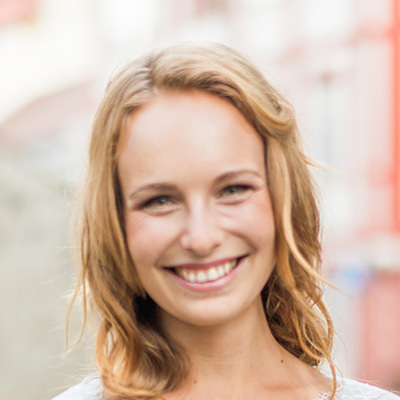 Watch the video and see how the Beeds Treatment is applied. Beeds Prime is first applied. Beeds HD, ELX and DNA are then applied. 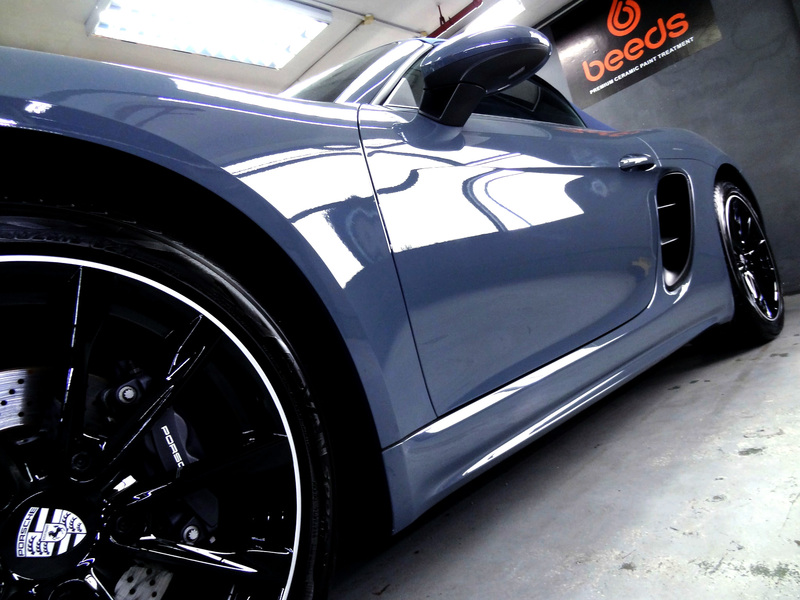 With just a few steps the vehicle is now protected by Beeds Ceramic Treatment. If you are a dealer and would like to find out more about how Beeds can help your business and customers, please contact us and it will be our pleasure to answer any questions you have. To get the Beeds Treatment for your vehicle, please click here to locate a detailer near you.